First issue of this french language zine, unknown if any other issues exist. 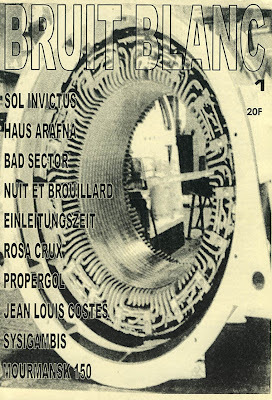 Interviews with Sol Invictus, Haus Arafna, Einleitungszeit, Bad Sector, Propergol, etc. Unknown release year as well, guessing 1999-2000 from some of the ads. 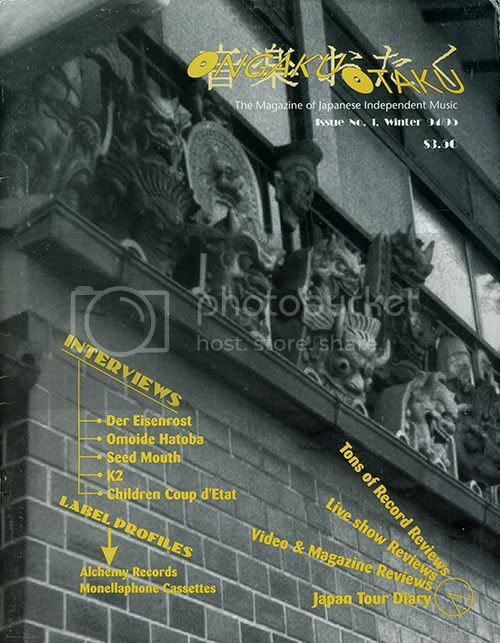 "Ongaku Otaku was a magazine devoted exclusively to coverage of Japanese independent bands and culture. The first issue was published in May of 1995. Four issues of Ongaku Otaku were published annually, at which point it ceased publication. The website ongakuweb.com has some additional information, as well as a blog which continues to cover independent Japanese music, so please visit." Der Eisenrost (led by Chu Ishikawa, composer of the Tetsuo soundtrack, as well as many other film scores for Shinya Tsukamoto). Seed Mouth (Check out the video i posted of his work here).